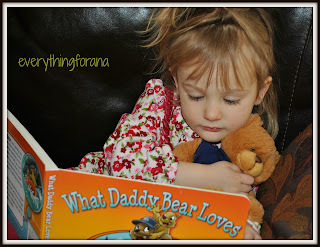 Shortly after opening the cute gift box from Daddyscrubs.com, Ana asked her Daddy to read to her "What Daddy Bear Loves" while snuggling with the teddy bear included. 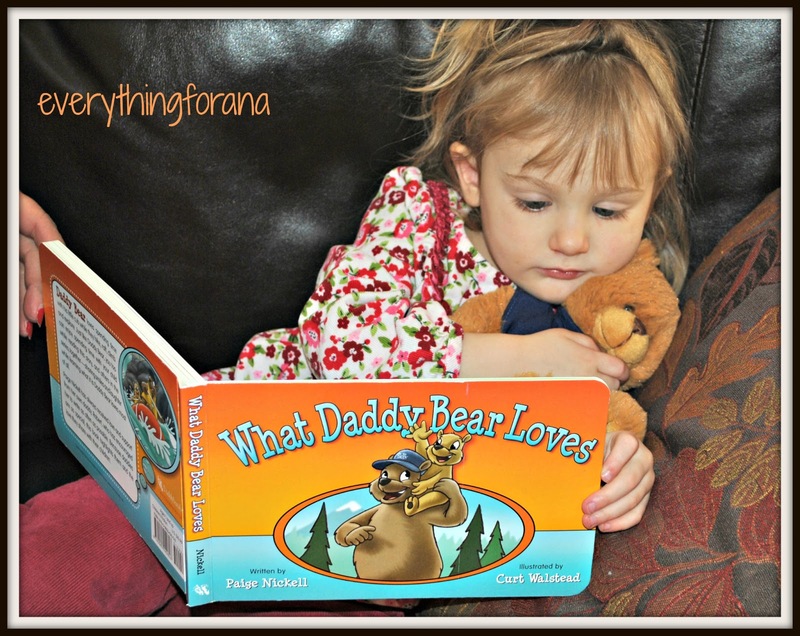 She curled up on the couch and listened while her Daddy read about What Daddy Bear likes to do with his cub including playing outside, hiking, fishing and skiing. These are all activities that we are looking forward to sharing with Ana as she grows up in the beautiful Hudson Valley. She really loved the book with its colorful photos, and cute story. Ana loves her Daddy and cherishes the quality time that she gets to spend with him.Also, she loved the teddy bear included (and his cute scrub shirt) and has added him to her sleeps with at night collection. 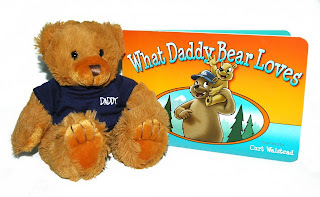 Having checked out Daddyscrubs, I know just where to find great New Dad Gifts, clothing and stuff for the Daddy to be for a shower. I remember when I had my baby shower, Duncan received a daddy to be tool kit, and Daddy Scrubs would have been perfect with it. He would have looked so handsome in his scrubs at the birthing center. Check out this cute video for Daddy Scrubs mentioning the story and various celebs who have worn them. Aren't they cute? Want to win this cute set of a teddy bear and book for your little one? I love the Vintage hoodie in moss green. I like the Bag O’ Books by DaddyScrubs. I like the Vintage Hoody (blue) and the Vintage Hat. I love the daddy diaper backpack! I like the "I'm the Daddy" t-shirt.